ProMax automotive software, CRM, ILM and inventory management..
Upgrade your system to the ProMax system and have a total front-end software in one complete package! 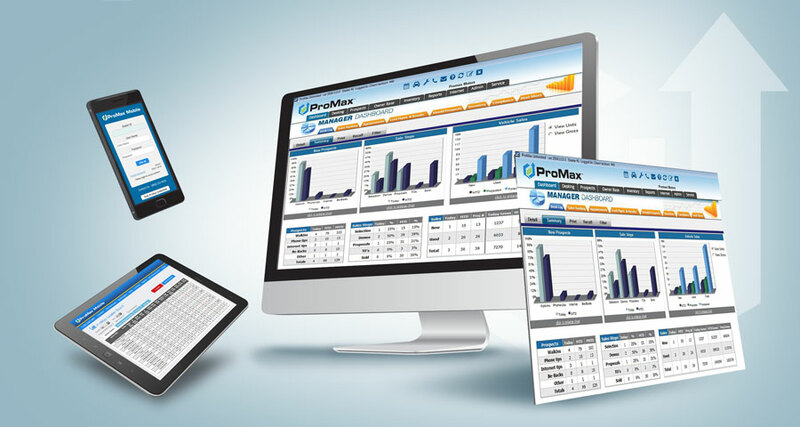 ProMax software is designed to give your dealership the competitive edge in a demanding marketplace. As a leader in the industry for the last 23 years, ProMax provides dealers ground breaking and innovative features by integrating our award winning CRM, Desking and Compliance solution. The ProMax Automotive CRM software is easy to use, customizable, and scalable depending on your dealership needs. Our goal is your dealership’s success! ProMax will increase your ability to find, attract, and sell new prospects, nurture and retain your current customers, and entice previous customers back in.